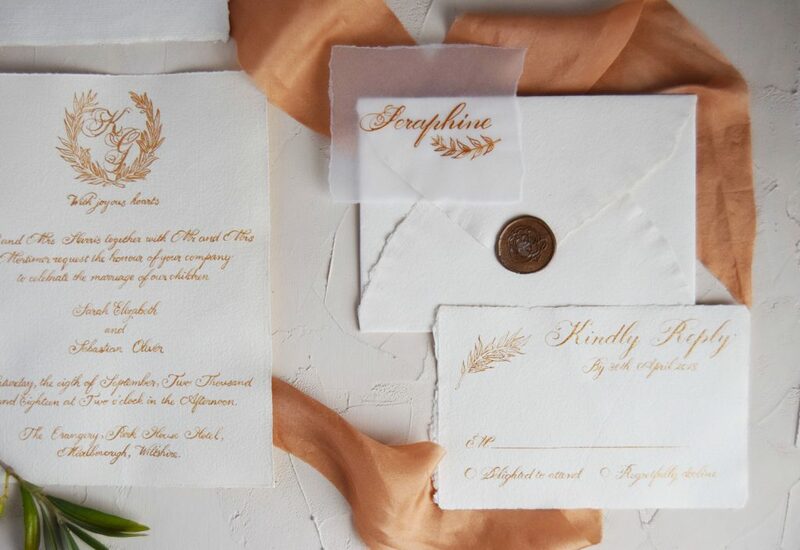 The Sofia suite is elegant, refined and stylish. 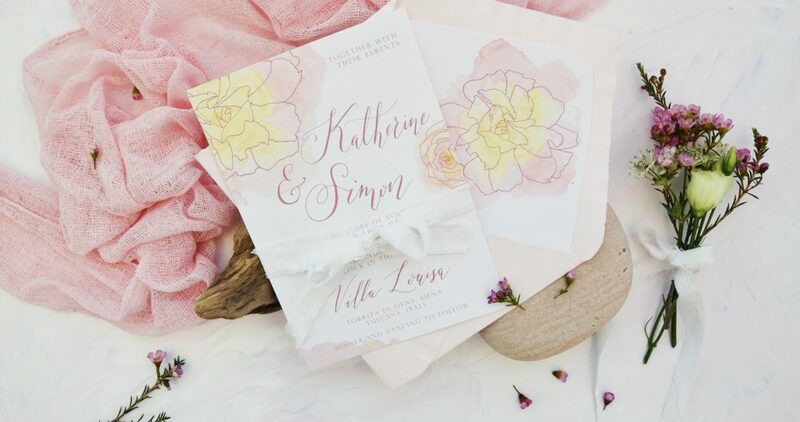 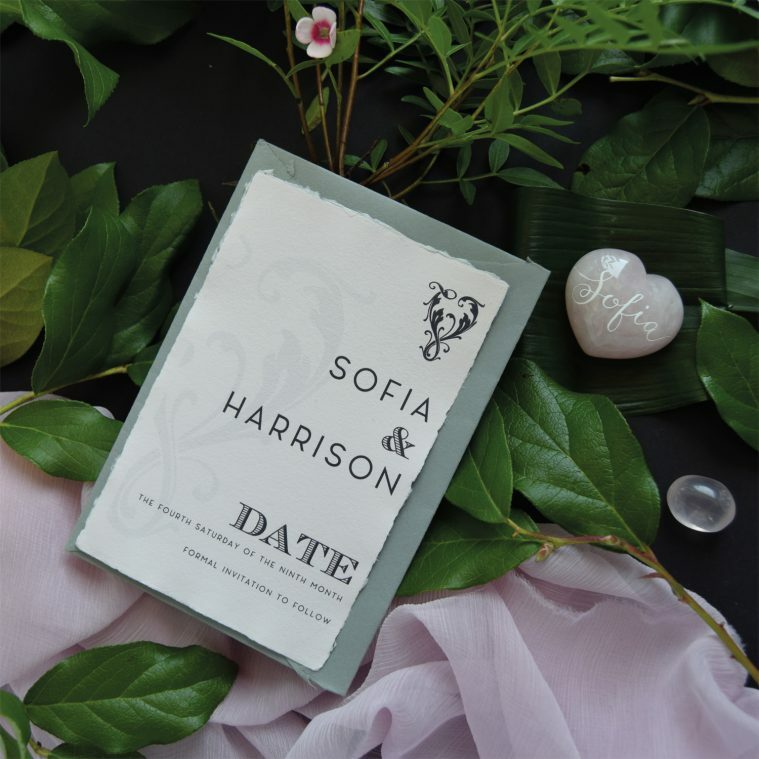 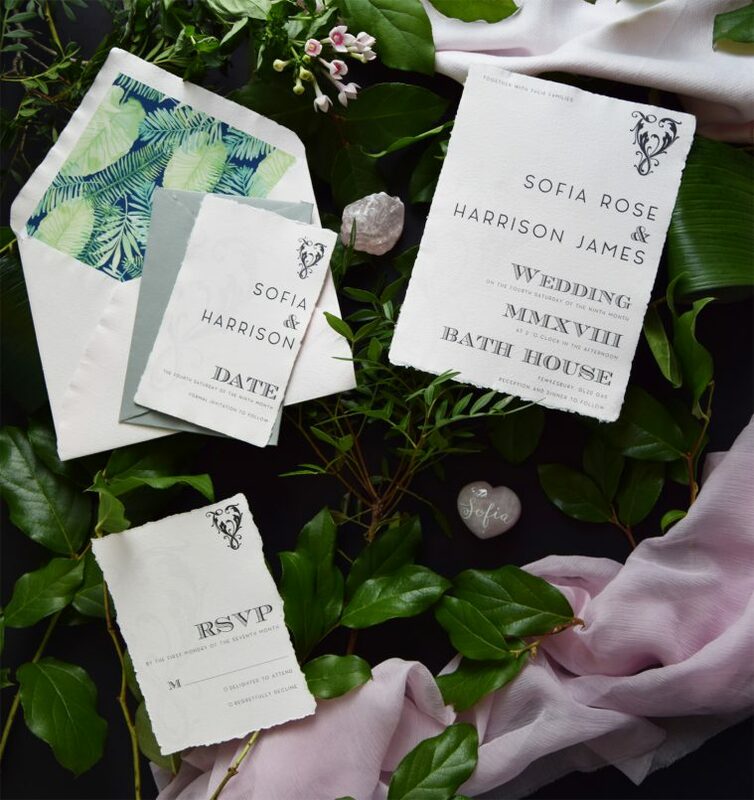 Created for the minimal bride and groom on soft pink handmade paper with a matching pink handmade paper envelope and watercolour leaf design envelope liner in green. 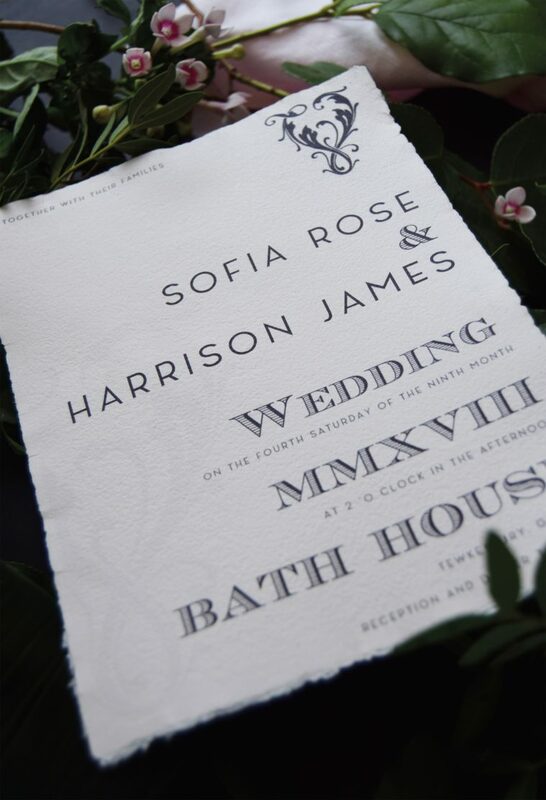 Featuring classic strong serif font with an elegant sans serif font for contrast and style. 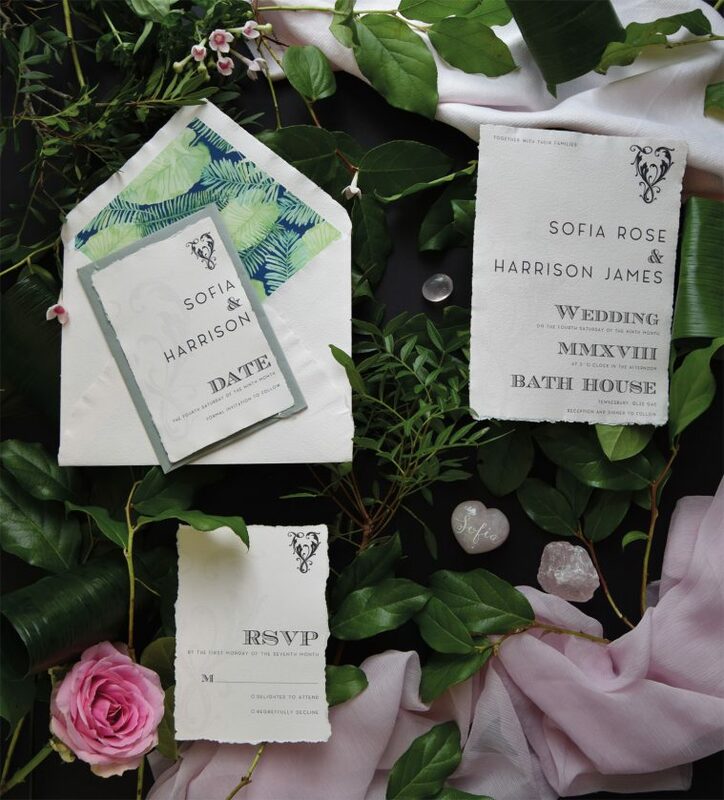 The leaf illustration in the corner in the shape of a ‘V’ completes the suite bringing both botanical elements and style to this lovely suite. 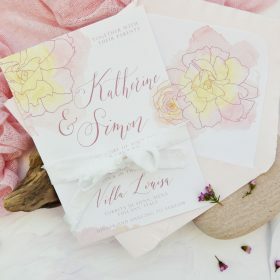 Seen also matched with a heart rose quartz place card and a natural rose quartz crystal to not only create a wonderful and unique setting for your guests but also a lovely keepsake. 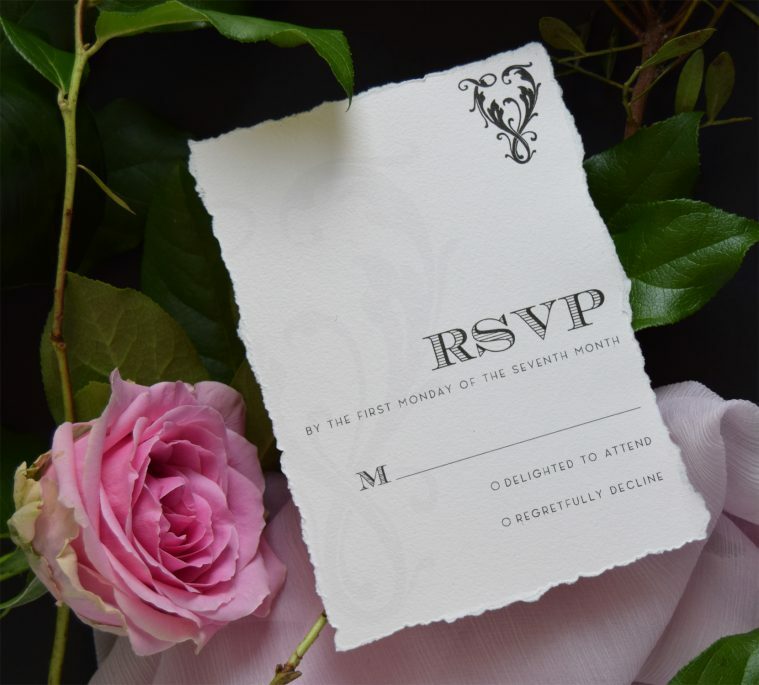 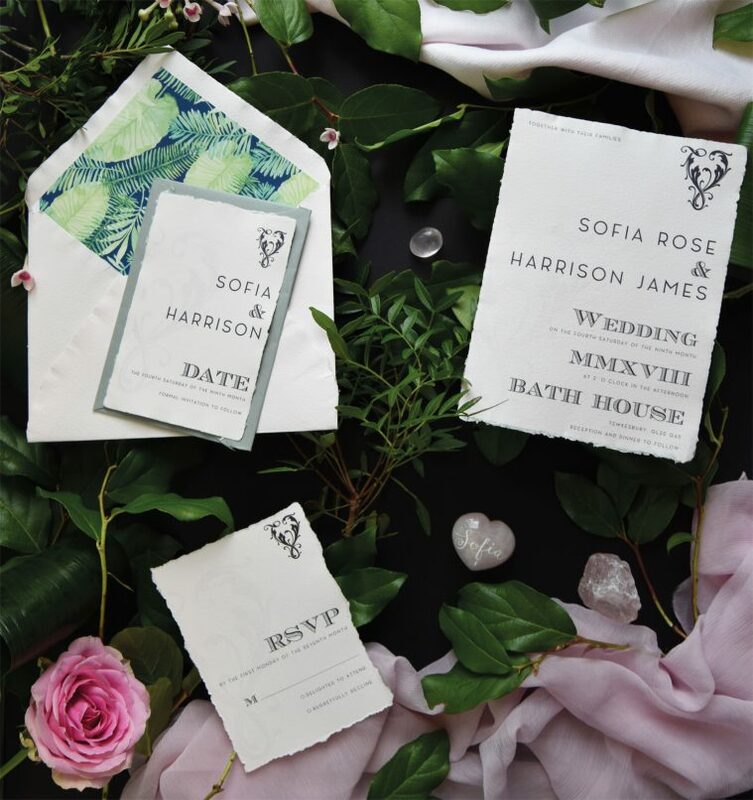 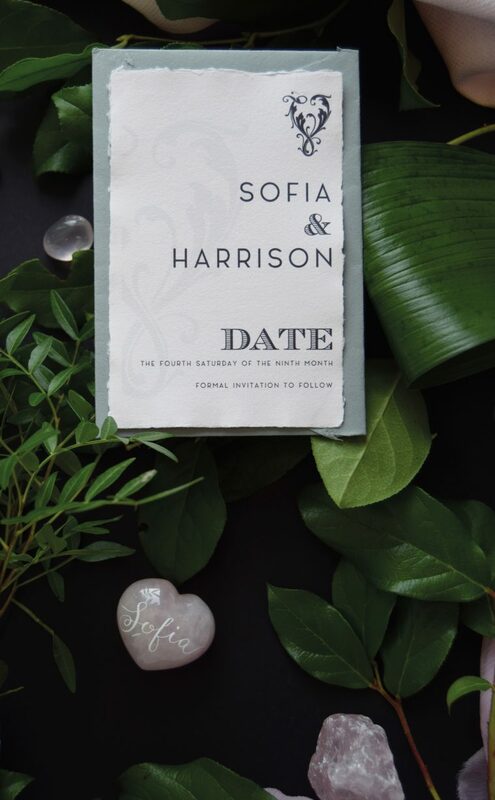 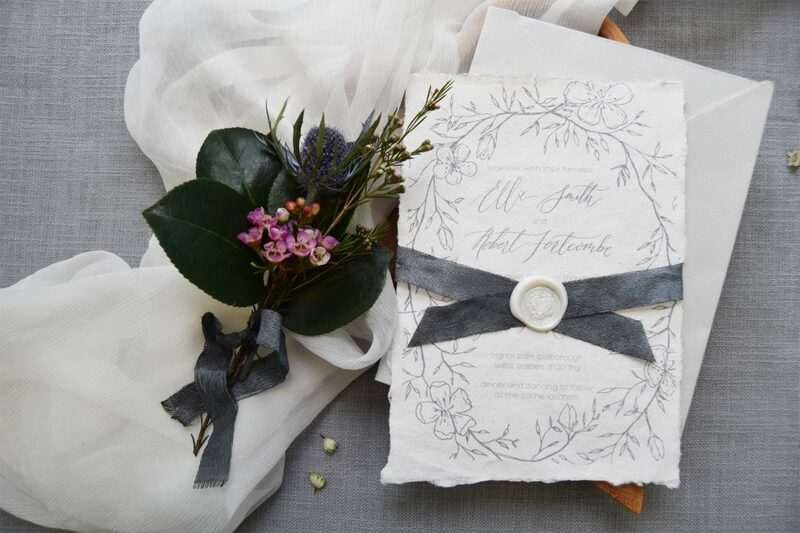 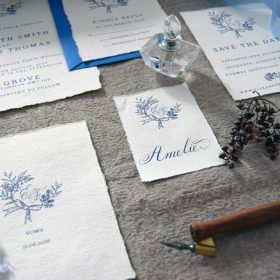 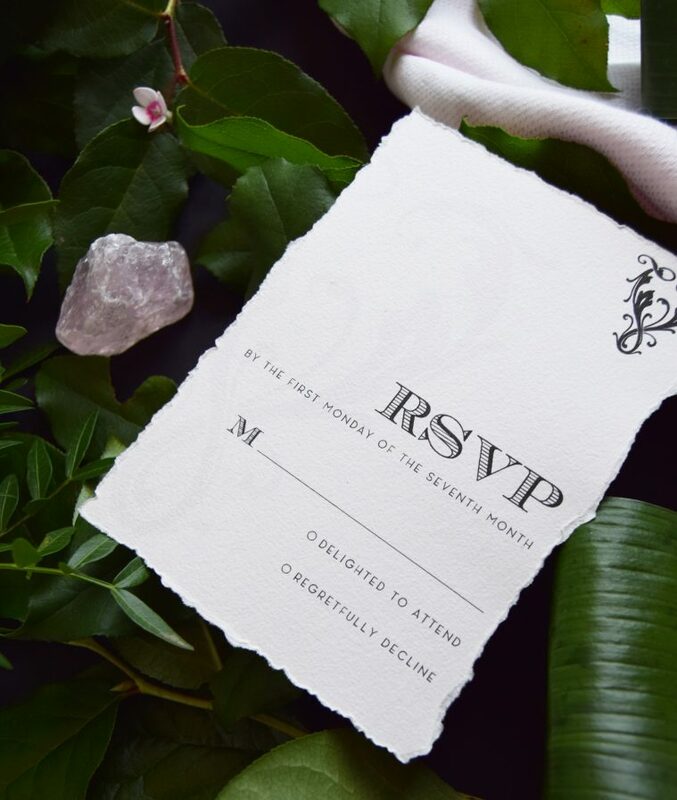 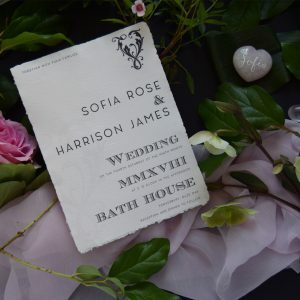 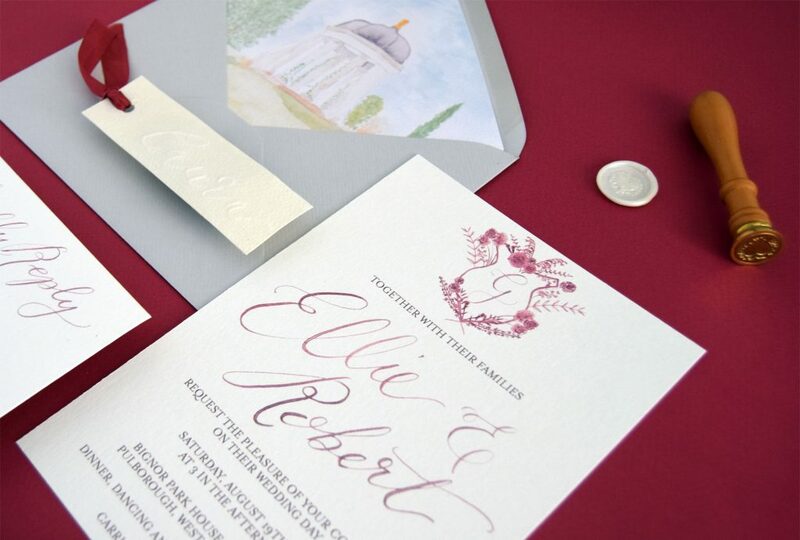 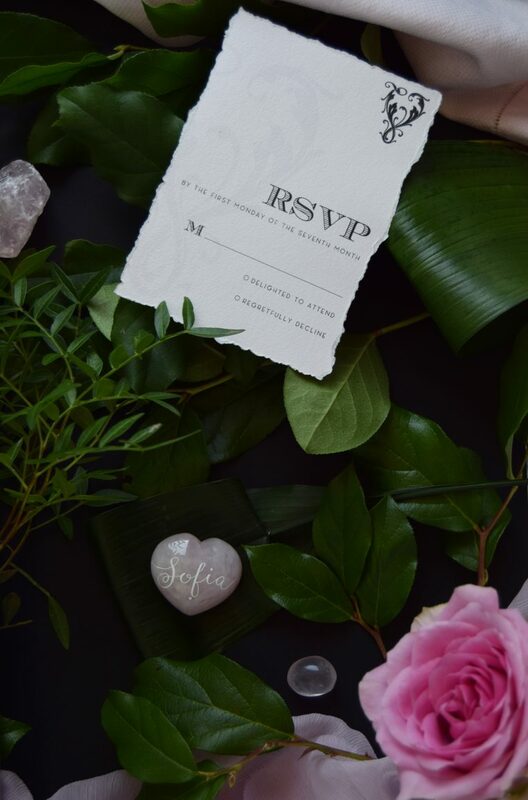 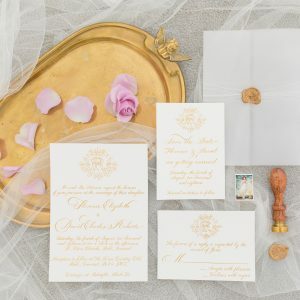 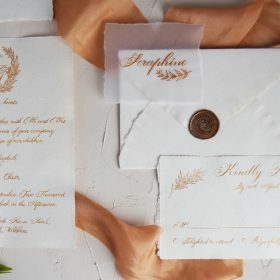 You can incorporate any of these features for your own wedding and have many options for customisation, such as handmade paper envelopes, silk ribbons, wax seals, location maps, on the day extras and so much more. 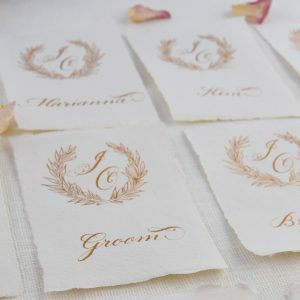 Please see the gallery below for inspiration. 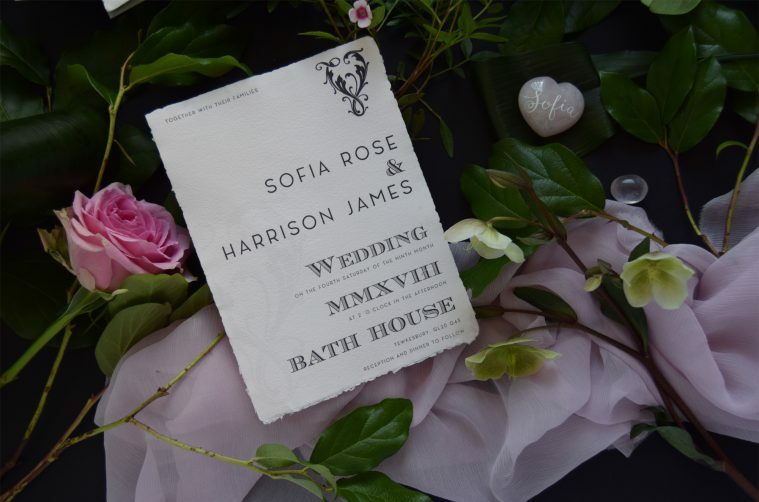 Seen here printed in black onto gorgeous pink handmade paper with deckled edges. 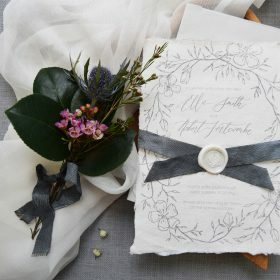 You can customise the paper, ink colour, envelopes and ribbons.